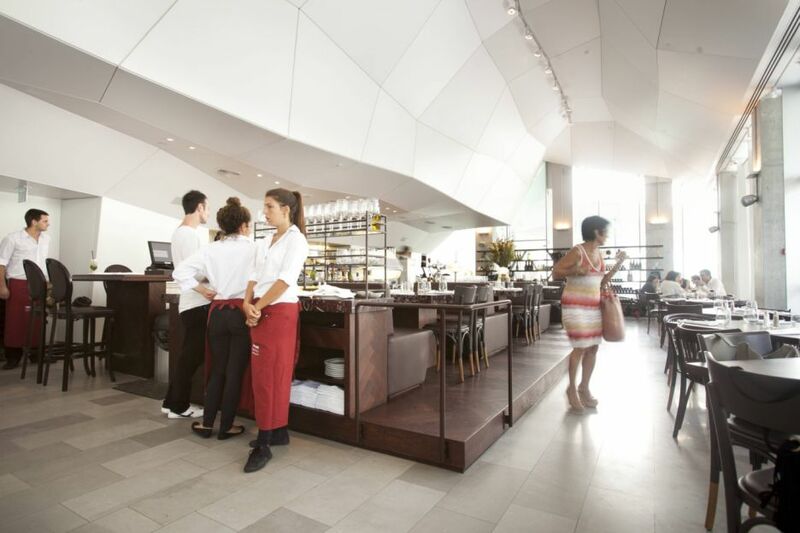 Pastel, in the Herta and Paul Amir Building at the Tel Aviv Museum of Art, is crowned the world’s best designed eatery. Where is the most beautiful restaurant in the world? Tel Aviv — specifically, in the Herta and Paul Amir Building at the Tel Aviv Museum of Art. That, at least, is the conclusion of the International Space Design Award – Idea Tops, which last week awarded the museum’s Pastel restaurant first place in the Best Design of Dining Space category. 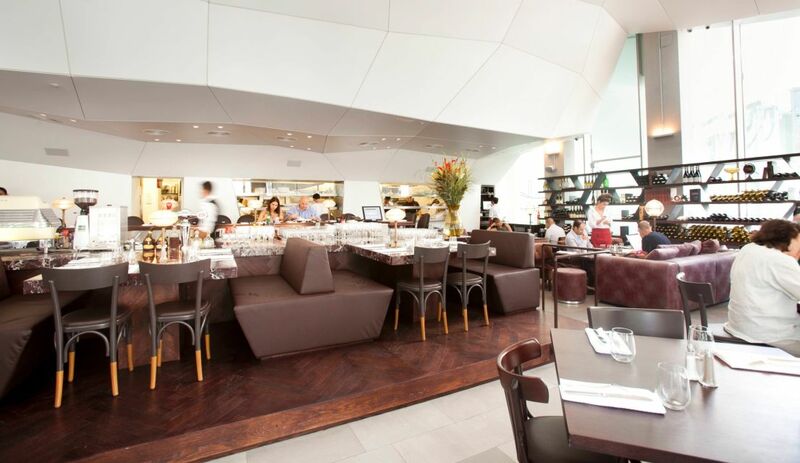 The building was designed by architect Preston Scott Cohen, and the interior design of the restaurant was created by architects Alon Baranowitz and Irene Kronenberg. Baranowitz and Kronenberg contended against more than 4,000 architects from 35 countries in the competition, held in China this year. Baranowitz and Kronenberg were also among the five finalists in the competition for the best-designed hotels; their entry was the Wyndham Grand Frankfurt Hotel in Frankfurt, Germany. Several months ago, the Topolopompo restaurant in Tel Aviv, which they also designed, won first place in the Restaurant and Bar Design Awards, held in London, for the best-designed restaurant in the Middle East and Africa.